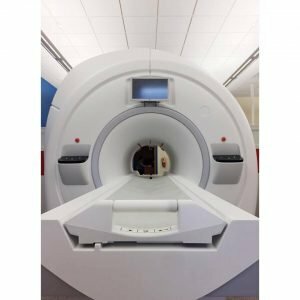 Use of MRI technology is more important than ever for today’s researchers, professors, radiologists, nurses, technicians, and child life specialists. Failed scans and unusable data caused by claustrophobia, anxiety, and excessive head and body motion cost significant time and resources where scan time is often expensive and limited. 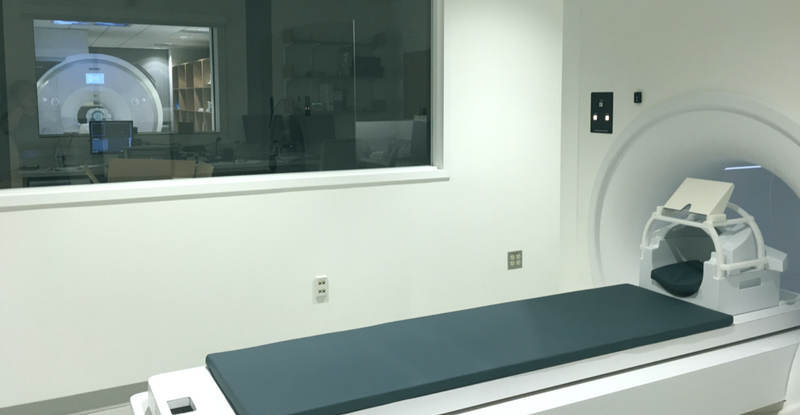 With the MRI Simulator; training, patient acclimation, and pilot testing can quickly be done without the need for scanner access time. 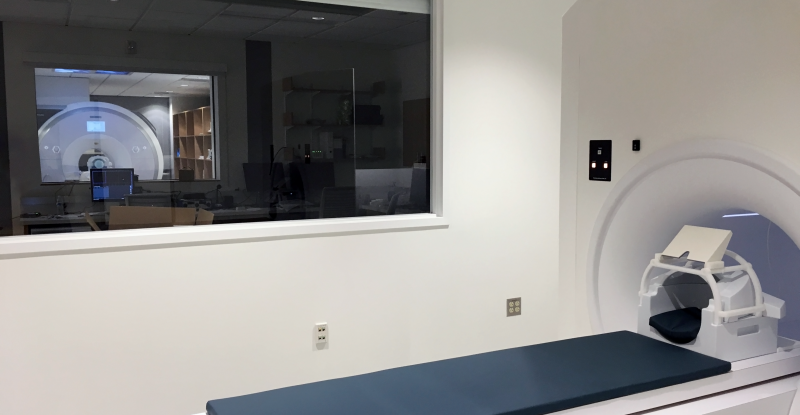 The MRI Simulator provides a realistic approximation of an actual MRI scanner to allow acclimation and training of participants (and faculty/staff) in a controlled environment for a fraction of the cost of MRI access. 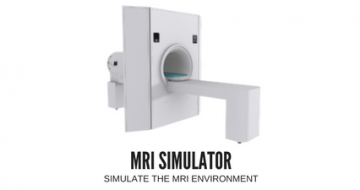 The MRI Simulator introduces the participant to an authentic scanning environment, permitting them to gradually become accustomed to the scanning procedure. 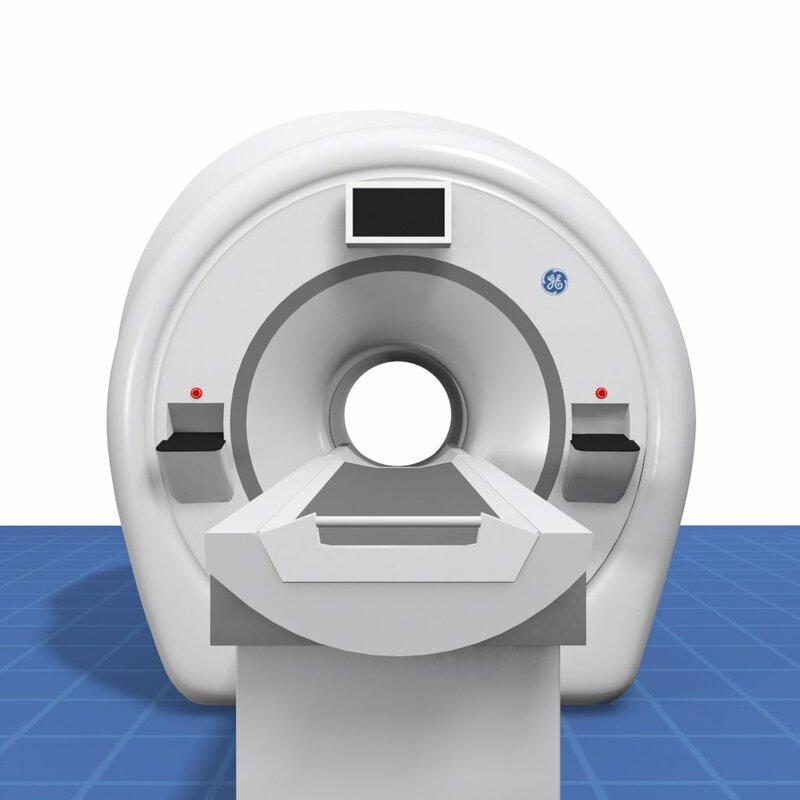 The PST MRI Simulator is currently used in hundreds of academic institutions, hospitals, technical schools, and training facilities all over the world. 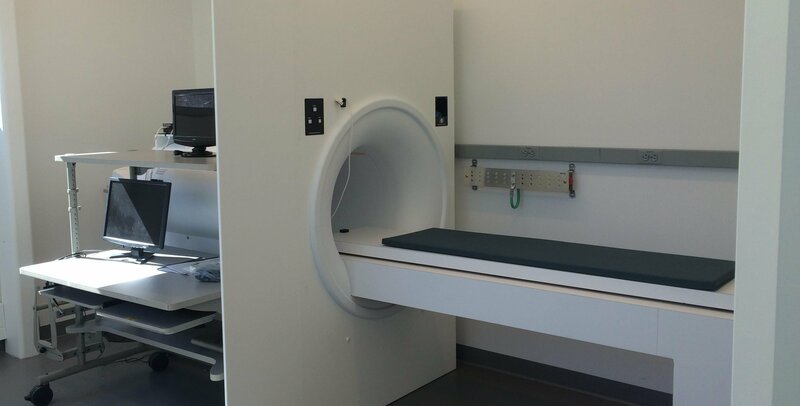 Faculty and staff training, patient comfort and acclimation, fMRI research and task pilot testing. 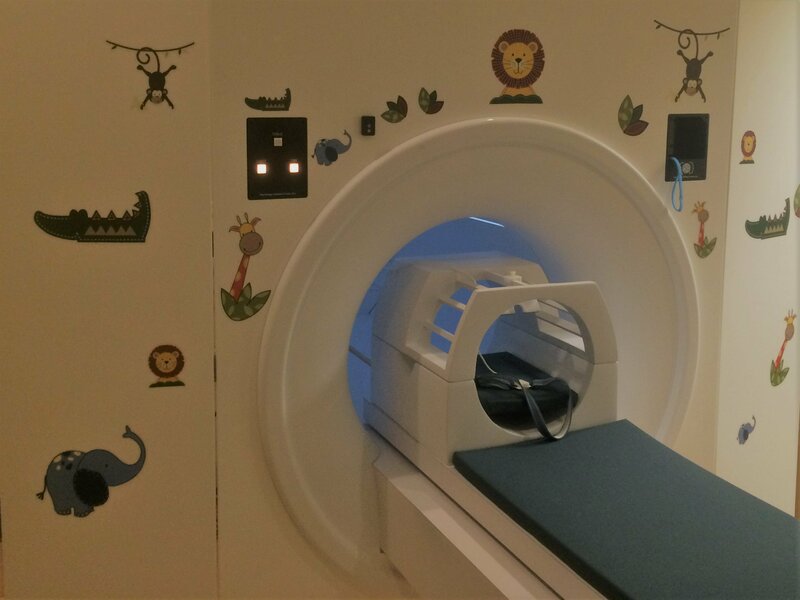 MRI Simulation is especially effective for child and special population MRI studies. 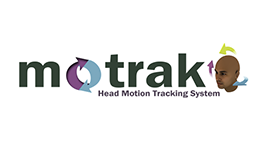 Combined with the use of the Mock MRI Head Coils, MoTrak® System, SimFx™ Software, and other components detailed in the Components tab, the MRI Simulator will increase the efficiency of your research and improve the quality of your data and scans. The MRI Simulator includes: ~60cm bore with tapered entry and flat façade with integrated control panel (Light, Fan, In/Out), lights, fan, speakers & subwoofer, motorized patient table with drag sensing safety stop, manual table release. 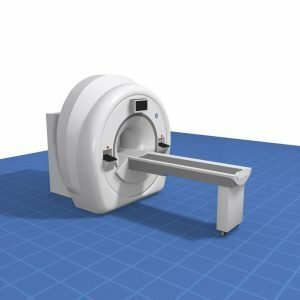 The MRI Simulator is designed to fit easily within a 12 foot office space and can be assembled and ready for use within 30 minutes at most sites (no tools required for assembly). 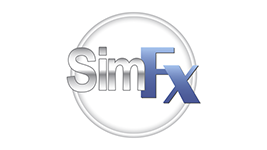 SimFx software simulates the ambient scanner sound and the active scanning noise. Four sound files can be played simultaneously. 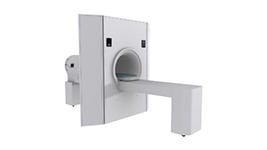 Dimensions 134 1/4" x 79 1/2" x 81 3/4"
Side Panels removed or folded 134 1/4" x 48" x 81 3/4"
Does your desired MRI environment require a customized machine? 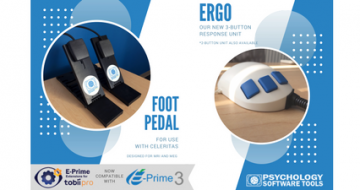 PST is taking orders for high-end customized simulators. 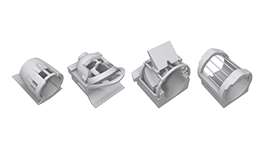 On this page are several examples of simulators we have made to fit specialized labs and workspaces. 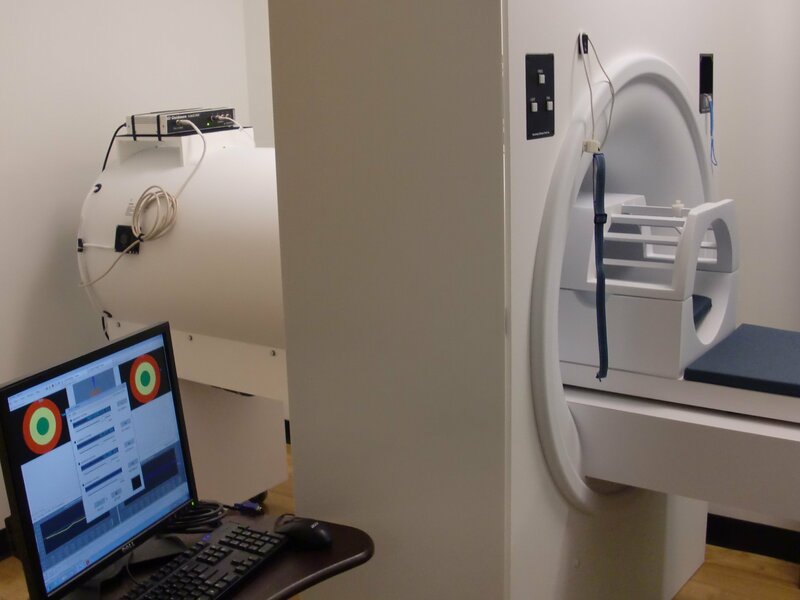 Pictured left is a custom GE Discovery MR750 Simulator PST installed in a state-of-the-art international fMRI research facility. 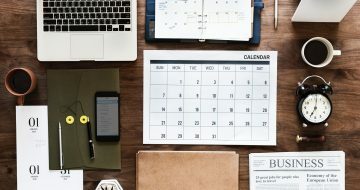 To request a quote for a customized simulator for your workspace, please email sales@pstnet.com. "In my research with 7 to 10 year old children I have found that use of a simulator before the actual scan has been critical to the success of most runs. 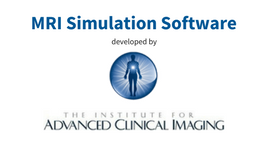 The simulator provides a chance for children (as well as adults) to practice the activation task in a compellingly realistic scan environment. It allows them to ask questions and most importantly provides an opportunity to train children to hold still. 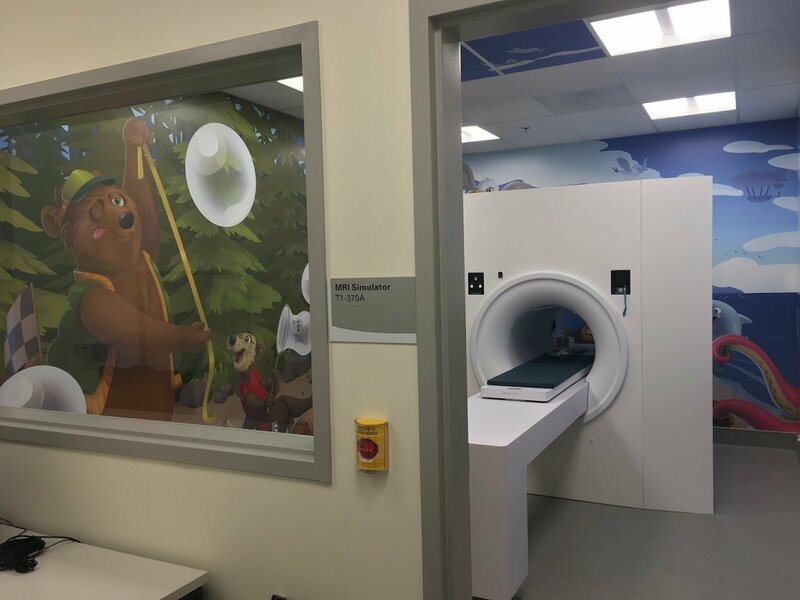 I find that it's a great advantage to be able to use the simulator to present the exact task conditions that the child will encounter in the actual fMRI run."